The South African National AIDS Council (SANAC) yesterday launched a national campaign to address social perceptions that continues to fuel stigma and discrimination against people living with HIV. 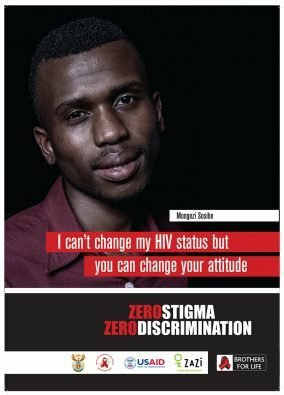 Themed ‘I Can’t Change My HIV Status But You Can Change Your Attitude’. 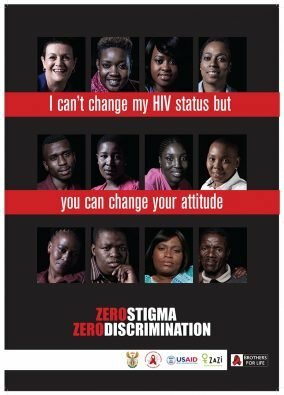 The campaign aims to engage South Africans in a sustained dialogue on stigma and discrimination starting on World AIDS Day and for the rest of the year. The communication campaign being launched under the them of “I can’t change my HIV status but you can change your attitude aims to mobilise South Africans to engage in dialogue and debate on social attitudes towards people living with HIV, while encouraging greater openness and disclosure by people living with HIV about their status. The campaign is built around a series of short films in which people living with HIV’s share their own personal experiences. These stories are not of despair and hopelessness but rather of courage and hope, and tell how key people in their lives helped them to overcome challenges. We would like to share a selection of powerful and touching stories of people living with HIV. A group of HIV positive people have told their stories and experiences of stigma and discrimination. It is not stories of desperateness and hopelessness, but stories of courage and hope, and how important people in their lives have assisted them to overcome challenges. These stories have been captured on video and stills photography. The stories are available for civil society, private sector, media and other sectors to use in their World AIDS Day campaigns. 12 picture collage in english. The file has been saved as a high res pdf A2 portrait plus bleed. Text has been converted to paths/curves. All the graphics are vector which makes it scaleable with out quality loss (except for the SANAC logo). This means that once you share it the end user will be able to litho print at existing size as well as large format print (banners etc) up to 400% with no risk of pixellation. 13 banners in different languages in one file – file size: 3,8 MB. The file has been saved as a high res pdf A2 (594x420mm) landscape plus bleed. 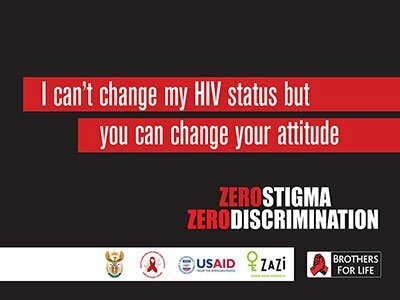 Like the Zero stigma Zero Discrimination Facebook page, invite friends to the page and participate/contribute in the World Aids Day discussions. Share photos and messages in the photo gallery.Share your tweets on World Aids Day using the twitter handle #ZEROHIVSTIGMA.